I am a writer. I know that will shock some of you. Outside of working at Geek Girl Authority, I also write plays, poems, and I’m working on a chapbook of short stories and a novella. But writing, like any profession, is hard. Many days I find it hard to sit at my computer or my desk and just, write. On days like that, I turn to podcasts to get my brain juices flowing. This month is NaNoWriMo, which is short for National Novel Writing Month. Millions of people participate in the challenge to write 50,000 words in just 30 days. In the spirit of NaNoWriMo, and to help out my fellows, here are my top 5 podcasts to inspire the writer’s block right out! 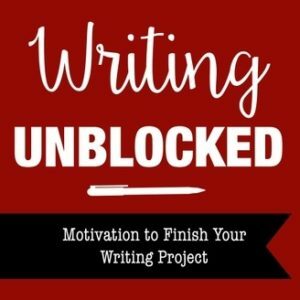 Writing Unblocked with Britney Mills is a podcast designed to inspire the writer who cannot write. This podcast consists of helpful tips, tricks, history of writing, and interviews with authors who also have trouble writing. Each week, Britney Mills covers a new subject in writing, and looks for unique authors to share with the podcast. This podcast frequently makes me want to take notes so that I can harness the valuable information Mills puts forward each week. Writing Unblocked with Britney Mills is created by Britney Mills. You can listen to episodes of Writing Unblocked with Britney Mills on iTunes, Libsyn, Podbean, PodcastChart, PodBay, and Stitcher. A Writer’s Life with Dan Black is Dan Black’s examining of his own life and writing style through podcast. Black is incredibly relatable, making this podcast a both fun and interesting listen. A personal favorite is a more recent episode, “The Art of Self-Sabotage”, in which Black examines his own tendencies to alienate, isolate, and be better than the average bestseller. I find a lot of writers (myself included) have this issue. Because Black is willing to point out his own flaws and shortcomings, this podcast is a rare, relatable treat to listen to each week. A Writer’s Life with Dan Black is created by Dan Black. 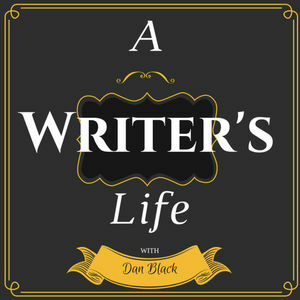 You can listen to episodes of A Writer’s Life with Dan Black on AwlShow.com, iTunes, PodcastChart, and Stitcher. Please, Finish Your Book is a podcast created by John P, and dedicated to the memory of his mother, who urged him to “Please, Finish your book!”. In Please, Finish Your Book, John P provides helpful tips, anecdotal evidence, and stories about and from authors who have published. Each episode, he meets with a new author who offers sage words of advice whether in the realm of finishing books, or becoming published. Please, Finish Your Book is created by John P in honor of his mother. You can listen to episodes of Please, Finish Your Book on iTunes, PleaseFinishYourBook.com, TuneIn, Podbay, and Stitcher. Write Now with Sarah Werner is a half an hour long podcast talk show. In it, Werner discloses tips to help the struggling writer write right now, as well as takes “coffee breaks” every couple of episodes to interview authors who were also at one time struggling writers. Werner seems to get it, and is accessible and relatable to even the most amateur of writers. In this podcast, Werner covers topics such as “How to Declutter your Life to Write”, “30 Tips for 30 Days of NaNoWriMo”, “The Power of a Writer’s Group”, “The Worst Writing Advice” and “Are There any Original Ideas Left?”. Write Now with Sarah Werner is created and hosted by Sarah Werner. 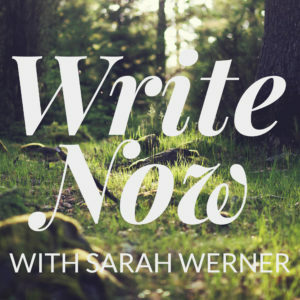 You can listen to episodes of Write Now with Sarah Werner on iTunes, and Stitcher. Writers Who Don’t Write is a unique podcast hosted by Kyle Craner and Jeff Umbro in that it deals with writers during the time that they are not writing. Every author featured on the show explains why they have trouble writing, and tells a story to explain themselves. Sometimes, the story is their most interesting experience. My favorite episode features Dana Schwartz, who writes for the New York Observer, and runs the Twitter for @GuyInYourMFA and @DystopianYA, parody accounts of the standard guy who studies literature, and the standard YA novel that is popular at this moment. Other authors featured on the show include Blair Braverman, Lev Grossman, Matt Gallagher, and Tanwi Nandini Islam. Writers Who Don’t Write is hosted by and presented by Jeff Umbro and Kyle Craner. You can listen to episodes of Writers Who Don’t Write on iTunes, and Stitcher.